Hodag Express Lube IS your Automotive Care Solution. At Hodag Express Lube, we strive to give you great service, quality parts, fair, honest pricing and factory-trained technicians. We have expanded to give our customers even more comprehensive auto repair services to keep your vehicle running and you happy! Our customers rely on us for all of their automotive services, such as oil changes, tune-ups, brake work, mufflers, batteries, alignments, transmission work and so much more. In addition, we offer Novus Auto Glass Repair and Replacement, Snow Plows, Bruno and Braun handicap systems, Michelin, BF Goodrich, Uniroyal and Kumho Tires. Here at Hodag Express Lube we pride ourselves on customer satisfaction and service. 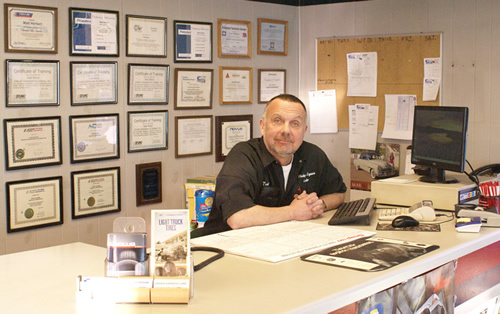 We will greet you with a smile, a friendly face and have a knowledgeable service technician work on your vehicle. See why Hodag Express Lube IS your Automotive Care Solution. Visit us today!